After a long struggle, this young lady has finally found an education solution that suits her learning style and medical needs. We could not be happier for her! This young lady has complex medical and mental health needs, and struggled to access further education because she is liable to become overwhelmed and collapse at any moment. She has idiopathic anaphylaxis syndrome and can go into allergic shock without warning. Because of this she has to go everywhere with her mum in order to stay safe, but #Focus5 has been able work alongside the family as part of a team. She is incredibly bright but needs a flexible, informal learning environment that can adapt to her needs. 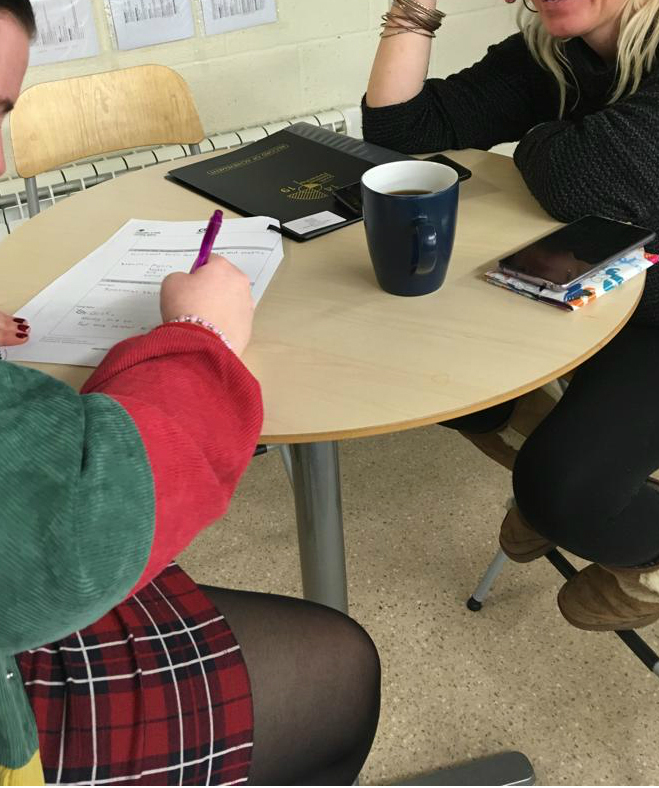 Her key worker approached CMT Services in Somerset to find out what kind of courses might be available to her and whether they could accommodate her various needs. Initially she was anxious about visiting CMT and asked in advance whether she could go away and think about it before committing to any courses. However, Colin at CMT was very engaging and really convinced her she could achieve her goals, so she signed up on the spot! She will be doing Level 2 Maths and English, and as she is passionate about physics she also hopes to do science and some other courses. CMT is a strategic learndirect provider across the South West of England, offering a variety of accessible courses, delivered in a flexible and informal way. This kind of setting will appeal to those struggling with autism spectrum disorder, attention deficit, sensory processing or other learning or medical needs. It is important to help young people and their carers appreciate what services are out there, so that they don't feel all doors to education are closed, and this is a big part of what we do at #Focus5. The young person has said of #Focus5, " Thank you so much for all this help and support. I haven't felt this confident about learning in a long time." Her mum was very emotional when she signed up for her courses, saying that she had not seen her daughter so relaxed and keen to learn in a very long time. She hopes to go to University eventually and we hope her time on #Focus5 will be a stepping stone into bigger and better things in the future.